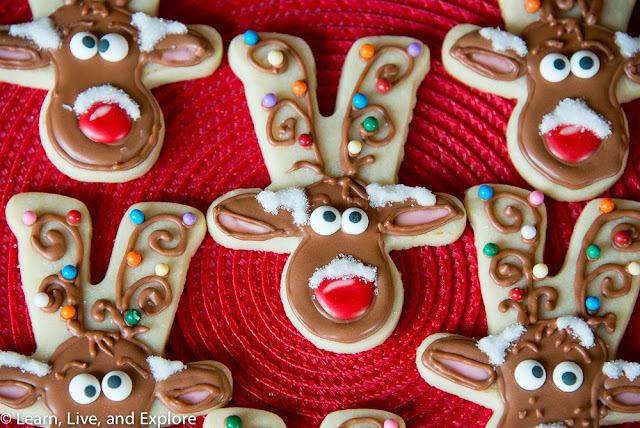 Christmas Reindeer Cookies ~ Learn, Live, and Explore! 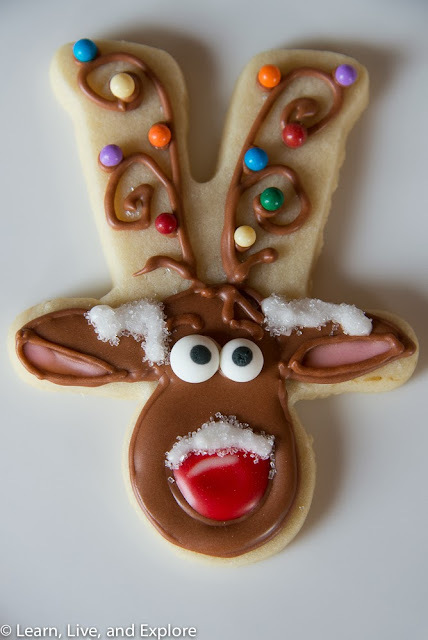 I haven't made any major batches of holiday themed cookies this year, so I thought it was time to get baking this week! 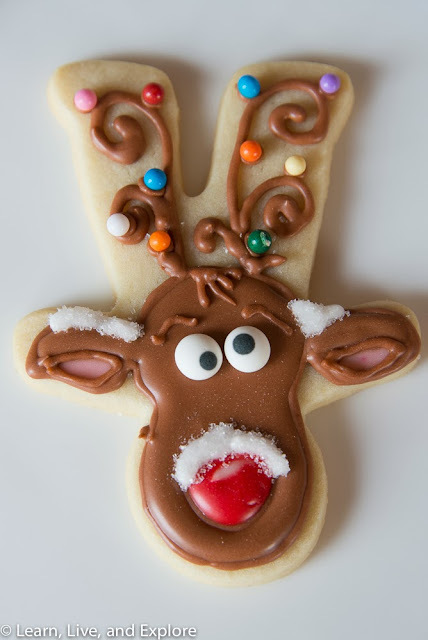 I was inspired by a recent guest post on Sweet Sugar Belle's cookie decorating site written by Cookies with Character. Her cookies are definitely cuter with the little birds and the larger eyes, but I think I pretty much captured the essence of the look. These cookies were done in several stages, starting with the brown piping and flood. Once dry, the nose was added, along with the painted pink ears and the brown hair detail. The final step was the snow with sanding sugar crystals on top. Cute, right?? 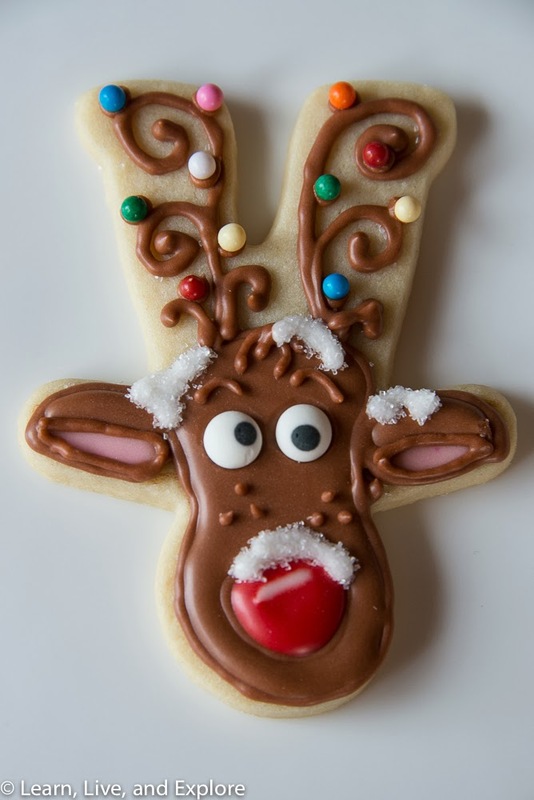 The cookie is a simple butter cookie recipe cut into gingerbread men (though gingerbread women may work a little better).